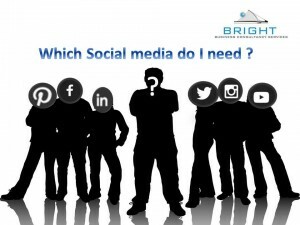 Which Social media do I need ? So you have discovered that you want a presence on social media for your business or you have one but are not sure which one is best suited. 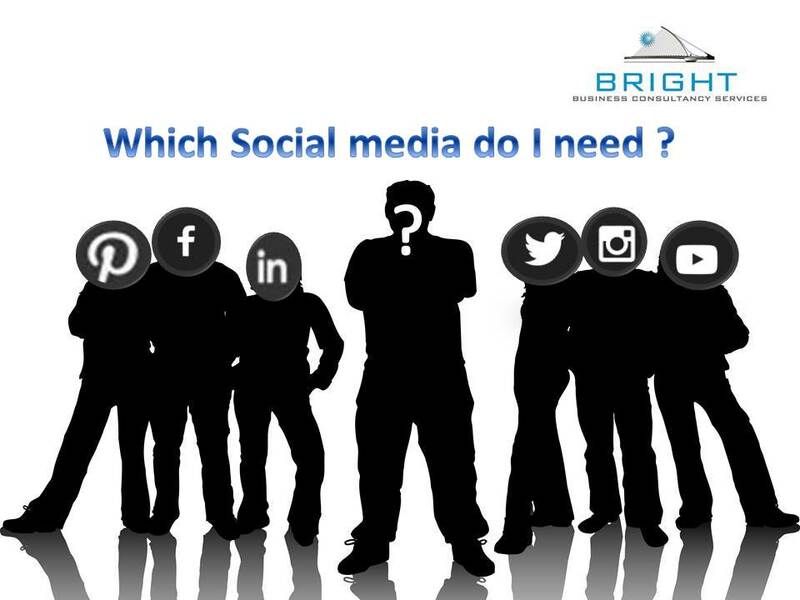 However which social media do you need and why is it the next question you need to answer. Because we market to our customers in a customer centered generation and this is why we want a social media presence. As that’s were our customers are so we need to be there. If you have mapped out your customer journey you will know what your customers need want and demand from you. This allows you to resonate, engage and proposition and drive your business beyond what you ever thought was possible because you listened to your customers. In your research of your customer you will know what social media will work best for you as what you will get are personas of clients for example male or female, age, likes, dislikes, disposable income etc. A visual social media will work well for you such as Instagram or Pinterest. If you are explaining how you bake a cake it may be a good idea to use facebook. If it’s a video you may use youtube. Although a strategy using all or a mix of the above will also work while remembering were your customers are. Below are some details on the top social media sites which will help you answer the question which social media you need to be in. Give it an image for 93% of the most engaging posts. Keep your posts under 250 characters. Use emoticons can get your post liked 57% more than those without. Most engagement occurs towards the end of the week from Wednesday to Friday. Posting between 9am and 7pm is acceptable. 35% of users participate in contests, 42% like a page in order to get a discount or coupon. Make sure your tweets are relevant and urgent. Show your personality position yourself as a service. Use a tool like Buffer to schedule tweets throughout the day. 86% of tweets with links will get retweeted. Make sure links come from mobile friendly sites. Use hashtags to gain more engagement. Keep tweets under 100 characters. Tweet later in the day while people are commuting. Demographics 55% of users are in the 18- 29 age higher rate of females. Take images that best represent your brand. Keep your @ and # symbols. Best times to post are between 3-5pm during weekdays and on the weekend. Strong receptive audience with buying power. Generates 400% revenue per click then twitter and 27% more than facebook. great for sharing products, How to tips and ebooks. Demographics 71% under 25 years old. Activate cool features in your settings. So in conclusion what do you think are you still confused are going to try them all or some of them. Now I know I didn’t use all the social media sites that you can choose from but I did choose the ones most popularly used. would you like some help before you invest your time and money. This entry was tagged Bright Business, Cost effective, Marketing, social media. Bookmark the permalink.